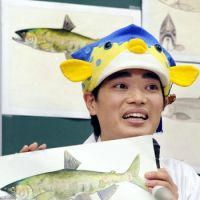 Sakana-kun, the fish expert and TV figure well-known for his blowfish-shaped cap, is about to become Japan’s “osakana taishi” (fish ambassador) to promote fish consumption and boost the declining industry. 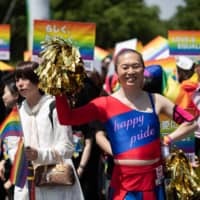 Sakana-kun, a visiting associate professor at Tokyo University of Marine Science and Technology, recently rediscovered “kunimasu,” a type of salmon also known as black “kokanee,” at Lake Saiko in Yamanashi Prefecture. The species was thought to have gone extinct. 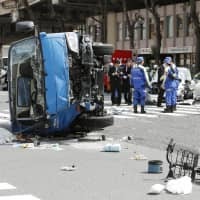 The farm ministry expects Sakana-kun to “send out information” about fish, the fishing industry and related government policies, it said in a statement. Fish has been declining as a staple amid a shift to more Western diets. Sakana-kun, whose real name is Masayuki Miyazawa, was to be formally appointed to the honorary position by the Agriculture, Forestry and Fisheries Ministry on Monday. 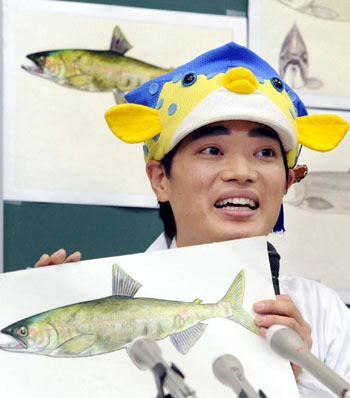 Miyazawa is a frequent fixture on TV shows, where he talks passionately about and displays his abundant knowledge of fish. He is also an illustrator who has penned a number of books on fish.